What Are Primitive and Postural Reflexes? Many people who have cared for an infant are familiar with primitive reflexes: Turn an infant’s head to one side and the arm and leg on that side turn in the same direction (Asymmetric Tonic Neck Reflex). Stroke an infant’s low back on one side and their side muscles instantly contract (Spinal Galant Reflex). Surprised by a sound, the infant instantly spreads his/her hands wide, throws the head back, and opens eyes widely (Moro Reflex). Doctors often gauge the development of the child by the orderly progression of these reflexes. Under optimal circumstances all reflexes “initiate” during the appropriate stage of the child’s development, “integrate” themselves as a fully functioning reflex, and then “inhibit” or fall away when it’s time to move on to the next developmental stage. It is vital that this occurs. If various reflexes fail to initiate, integrate and inhibit, the system is locked into a developmental holding pattern that prevents natural maturation of neural systems, inevitably leading to mild through severe learning and performance challenges. For children, these challenges show up in the classroom, but few teachers know about retained reflexes. The child may find it hard to keep up with grade level expectations for academics or behavior. Some learners develop techniques for compensation, but it takes a lot of extra effort. Those children who are least able to cope often end up in specialized classrooms or alternative schools. They are at high risk for behavior and attitude problems, most often due to years of sheer frustration. 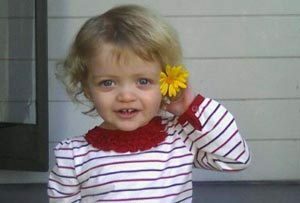 Children and teens with reflex challenges grow into adults with reflex challenges. They may end up with limited career choices, or may simply have to work extremely hard for each success. In any case, the common denominator is the need for struggle and effort against the invisible pull of these reflexes. Brain Ways does a half-hour assessment for Retained Primitive and Postural Reflexes. Those reflexes that have not integrated, are explained to the learner and his/her parent. A program of activities is scheduled. Most learners or clients can integrate within a few months with daily exercises. We all know the kids: they’re bouncing off walls, unable to wait their turn, so easily distracted that they just can’t focus on the task in front of them. Do they have Attention Deficit Hyperactive Disorder, or ADHD? Or is it possible they lack visual skills which make them look away and look distracted? Perhaps an auditory processing problem makes them appear to “not pay attention” to what parent or teacher instructed. Few challenges of parenting are tougher than confronting the possibility of ADHD. The questions seem endless. How can you know if your child really has ADHD? How should you approach school about it? Are stimulant medications, the most common treatment, safe? What else works? Brain Ways has seen children walk into the office and touch every thing in sight in the first two minutes who really do have ADHD. Others have come with Ed-Psych evaluations that have labeled the child ADHD or Dyslexic, and it turned out the child had a Vision Processing, Auditory Processing, or Sensory Integration Dysfunction. At Brain Ways, we work with the learners as we evaluate. We check Auditory Processing, Sensory Integration, Visual Skills, as well as give learners specific exercises to do from our first meeting, so that the client begins working to bring about change right away. 1. Response Inhibition: The ability to think before you act. It is the ability to resist the urge to say or do something to allow time to evaluate the situation and how a behavior might affect it. 2. Working Memory: The ability to hold information in memory while performing complex tasks. It involves drawing on past learning or experience to apply to the situation at hand or to project into the future. 3. Emotional Control: The ability to manage emotions in order to achieve goals, complete tasks, or control and direct behavior. 4. Sustained Attention: The capacity to maintain attention in a situation or task in spite of distractibility, fatigue, or boredom. 5. Task Initiation: The ability to begin projects or tasks without undue procrastination. 6. Planning/Prioritization: The capacity to develop a road map to arrive at a destination or goal, and knowing which are the most important signposts along the way. 7. Organization: The ability to arrange or place according to a system. 8. Time Management: The capacity to estimate how much time one has, to allocate it effectively, and to stay within time limits and deadlines. It involves a sense that time is important. 9. Goal-Directed Persistence: The capacity to have a goal, follow through to the completion of the goal, and not be put off or distracted by competing interests along the way. 10. Flexibility: The ability to revise plans in the face of obstacles, setbacks, new information, or mistakes. It relates to adaptability to changing conditions. 11. Metacognition: The capacity to stand back and take a birds-eye view of yourself in a situation and to be able to understand and make changes in the ways that you solve problems. 12. Stress Tolerance: The ability to thrive in stressful situations and to cope with uncertainty, change, and performance demands. BrainWays has found Visual Skills, or lack thereof, to be hugely important in the how and why kids have trouble in school. Clients havebeen labeled “dyslexic” and “ADHD” by Educational Psychologists, teachers, or others, even parents. But when the visual skills are checked, it is often the case that one or more skill is undeveloped. The best thing is that visual skills can be improved, thus “fixing the problem” within a matter of months! What is vision? People often confuse “eyesight” with “vision.” Vision is a learned skill. If a child does not practice, the skill may not develop. Think of a baby first creeping, crawling, standing, then walking alone. A similar process from gross to fine motor control takes place in the development of vision. Each skill builds on the previous one. 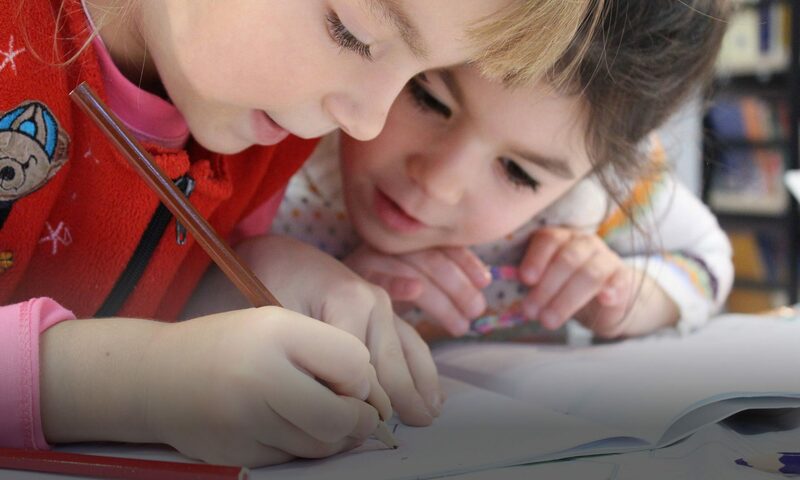 As a long-time Kindergarten teacher, I was once asked by a principal, “Can you teach your children whatever they need to know in KG, so that they can hand-write in 5th grade. I swear not one 5th grade boy can write in cursive!” Sometimes, schools make demands on children’s visual system before the system is ready. The child then skips a step or two, and problems ensue. Eye Movement Skills: Tracking. The ability to follow a moving object smoothly and accurately with both eyes. Think of a ball being hit by a bat. Fixation. The ability to quickly and accurately locate and inspect with both eyes a series of stationary objects, one after another such as moving from word to word while reading. Convergence.The ability to move one’s two eyes together to focus on one point, such as a word. Accommodation/Flexibility. The ability to look quickly from near to far and far to near without a momentary blur, such as looking from the whiteboard to an agenda on the student desk, or even from the spelling list in the book to the other page of the workbook. Accuity. The ability to clearly see, inspect, identify and understand objects at near (arm’s length) and far distances. Children with 20/20 distance eyesight still may have visual problems. Depth Perception. The ability to judge relative distances of objects and to see and move accurately in 3-D space. Peripheral Vision. the ability to monitor and interpret what is happening around one, while attending to a specific central visual task; the ability to use visual information perceived from over a large area. Brain Ways uses the CIIS to gather information of visual problems that may be occurring. Often, poor binocularity is a result of the client never crawling. Vision is a learned skill. It is not like eyesight, that is present at birth. While a baby is nursing, one eye is close to mother’s breast while the other eye is exercising. While nursing mothers naturally switch sides, for themselves, they might not know that they are then giving the other eye its opportunity to exercise! Then, in the crawling stage, the baby looks off into the distance and exercises both eyes together. That is usually when good binocular vision develops. 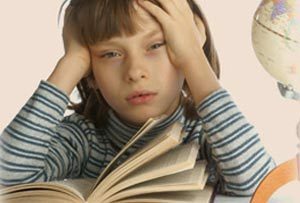 Children who are not so lucky as to have developed binocularity through their learning experiences, are the children who usually find it hard to read, or read below grade level. Why? Because their eyes are not teaming or working together so when looking at words on a page, one eye is seeing letters or words while the other eye is seeing a different set of letters or words. Children often think the words are moving like a river. One mother of a ten year old was surprised when her child answered “yes, like swimming across the page.” She had never asked him the question before. The little boy did not know that all people did not see the same kind of action on pages of books; he thought that was what books did. Brain Ways works with Developmental Optometrists, Gemstone Vision, and Vision Therapy in order to resolve Visual Skills deficits. Auditory processing is one of the most common of the SID/Sensory Integration Dysfunctions that significantly interferes with development and learning. In school, a child with auditory issues may use lots of mental energy to block out seemingly minor distractions such as the sound of another child writing, book pages being turned, or someone walking in the classroom. The sound of a marker squeaking on a board or a ringing school bell may be excruciating. Obviously, if a child is overly sensitive to potentially noxious sounds, s/he will be unavailable for learning. The child who finds it difficult to process auditory input from the left when there is any noise at all from the right is at a loss when new information is presented orally from his left side. Sensory-based auditory difficulties are frequently found in children with developmental delays and learning disorders, as well as ADHD. Children with auditory processing difficulties may have related speech-language delays as well, such as trouble understanding what is being said, going off-topic during conversations, problems with reading or spelling, or finding the right word to use. Dominance. Auditory-able learners have their dominant ear opposite their dominant brain and prefer an auditory presentation when learning new or challenging information. 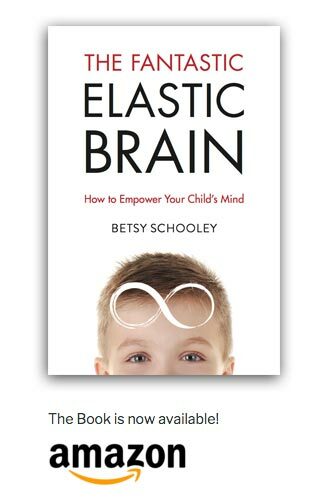 There is a distinct asymmetry in the nerve networks leading from each ear to the brain hemisphere, so children that are right ear dominant AND right brain dominant are limited, especially during stress. For these learners, listening or taking in what the teacher is saying, may prove difficult. At Brain Ways, we work with the client to minimize the extraneous sounds, maximize the positioning for maximum input, and teach alternative methods of learning when it seems like the only way is aurally. Auditory issues can vary significantly, from a child who needs directions repeated, to a child who screams when s/he hears thunder. Often parents are told their child has a learning disability and is placed in Special Education classes, without ever understanding what Sensory Integration issues the child might have. * have excessively strong reactions – or virtually none at all – to loud or unusual noises? * not speak as well as other same-age children? * seem to ignore you when you call his name although you know he can hear? * have a significant history of ear infections? * cover his ears frequently to block out sound – or for no apparent reason? * seem uncomfortable or distracted in a group or busy room? * react to sounds you don’t hear – or react to them long before you hear them? * have an unusually high or low voice volume? * often ask others to repeat what they have said? * have trouble with phonics and learning to read? *find labels in clothes “itchy?” hate the seams in socks? react to soft or slight touch? After assessing for Central Auditory Processing Disorder and Sensory Integration Dysfunction, Brain Ways uses an array of programs to help the child or adult develop his or her auditory skills. Brain Ways also writes a report for schools with Environmental Modifications such as classroom acoustics, placement, and seating, so that the child with CAPD or SID can have the least amount of auditory interference for optimum learning. Vestibular work using the Belgau Platform Balance Board. Vestibular difficulties are highly related to speech, language and auditory processing problems. Left-Right Brain Integration using Brain Gym and bean bag activities. For stress related issues, Brain Ways teaches Emotional Freedom Techniques to use along with active 8’s and other brain “de-stressing” integrative exercises The brain shuts down under stress. Many students face Test Anxiety in school situations and cannot recall the very information they easily shared while reviewing with their parents or teachers the day before. 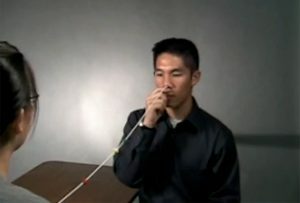 Children learn breathing and tapping techniques. Brain Ways teaches learners “tricks” to do to start the day. 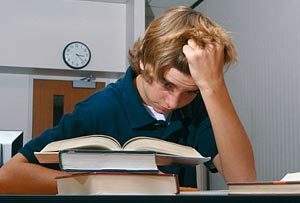 Learners also learn to recognize the stress situations in their daily lives, such as before a test, or when s/he has been yelled at; then, they become adept at making little eights and using their eyes using some of the NLP/Neurolinguistic Programming techniques such as looking up to access memory or looking up the other direction to access their imagination. when reading or doing close work?